PLAYING CAROM SHOTS WITH OPPONENTS SETTINGS. THE MAN IN UNIFORM HAS BEEN PLAYING CAROM FOR AGES BUT STILL HE IS UNABLE TO STRIKE AND POCKET A SINGLE COIN. 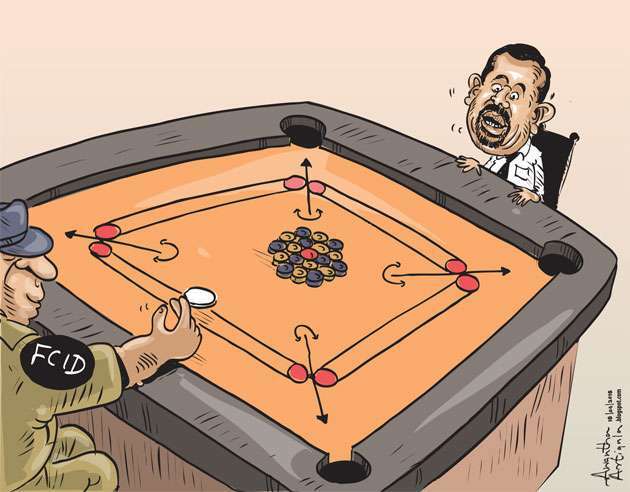 YOU CAN'T PLAY CAROM WITH DEFORMED STRIKERS. Decision to strike is more important than keeping the opponent nervous.